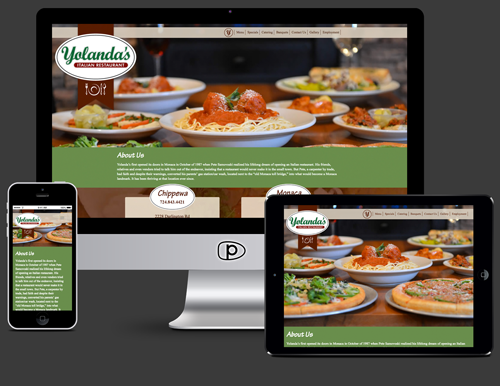 Yolanda’s Pizza has been a staple in Beaver County for years, but had no real web presence. Their management wanted a site that represented their brand in a good light, while providing their patrons with all of the information they could need. We coded the site to be responsive, so that it looked great on all devices, but we also made sure the design still had a family, italian restaurant feel to it.